First I adapted 2 capped honeyframes from the size of a Kempische hive to the size of a Warré hive – I had to make the frames a lot smaller. As I had to cut into the honey cells, this became quickly a very dirty setup. Than I had to fix this reduced honeycomb to a topbar of the Warré. Luckily I found some ribbons in my old sewing box, I wrapped them around the comb and stapled them to the topbar. I did this twice, to provide the new colony with some food – they will spend a lot of energy when they start building the new combs. Secondly, I had to adapt a brood frame to the Warré size. 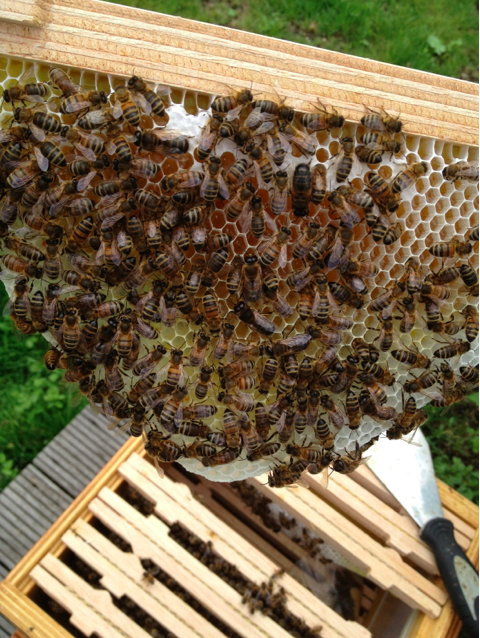 As there were not yet queen cells in the other hives, neither could I buy a new queen, I decided the bees had to make their queen themselves. They can do this starting from very fresh eggs, maximum 1 day old. 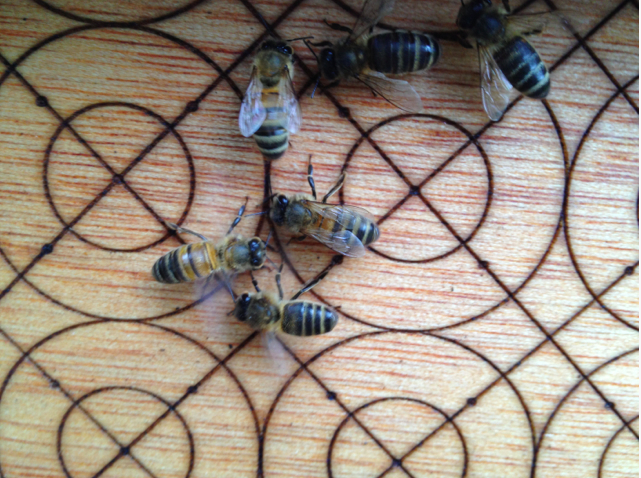 Such a brood frame, with young eggs, I took out of one of the Kempische hives and reduced it to the Warré size – repeating the ribbon wrap and stitch. OK, so far so good – 3 frames ready yet in the new Warré! 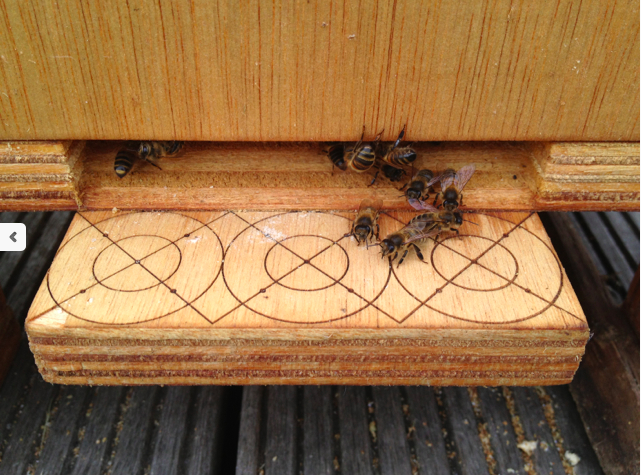 Now I still had to populate the new hive with 2,5 kg of young bees. Young bees are the ones that will build out the new comb and they won’t fly back to their hive of origin, they are still in the first half of their (short) life: the house-bee part. 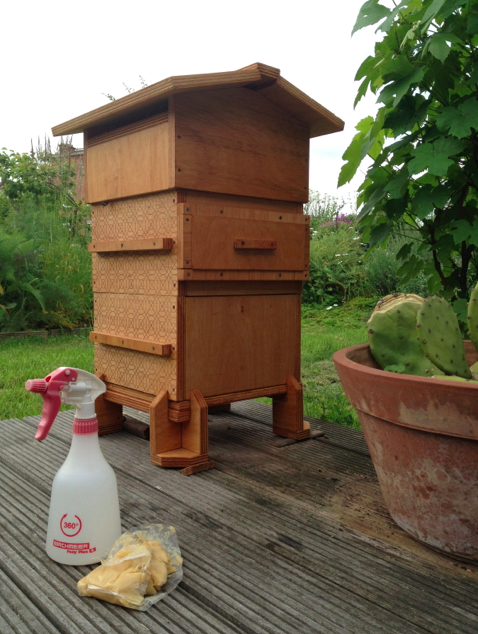 I opened the 2 Kempische hives with the most developed colonies , and I emptied the honey supers from the young bees. This was the easiest part of the whole undertaking. 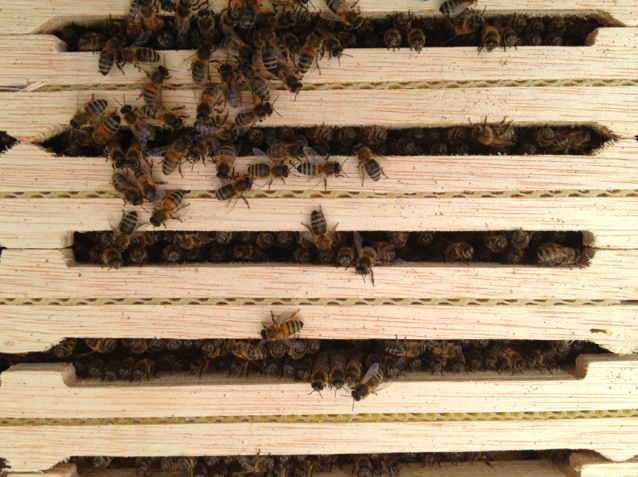 I poured the young bees into the second box of the new prepared Warré hive. 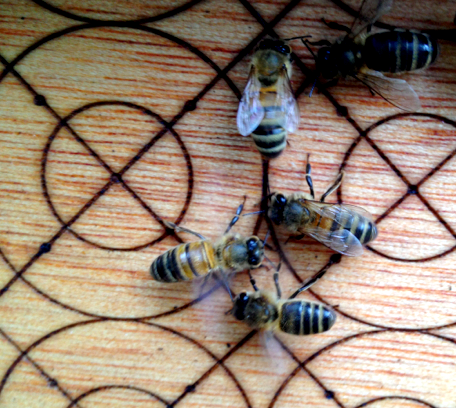 Via the back window we can see the bees organising themselves in a ball, and by seeing the chains of bee-bodies they make you know that they started building yet. 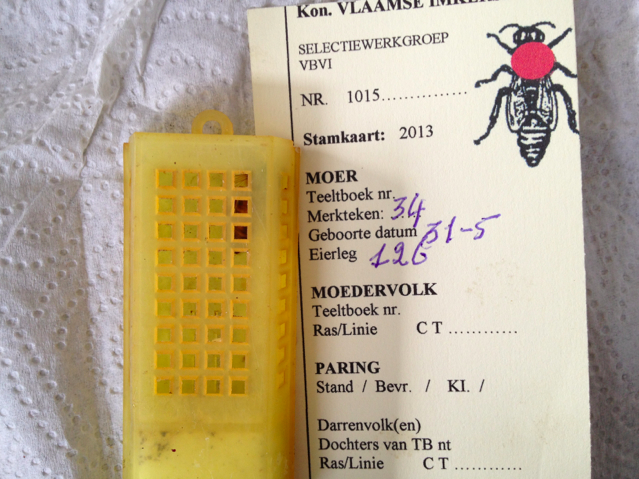 Now we just have to wait, and check after a week if the bees started to raise some queen cells. Than it will take more or less a month before the new queen is born and fertilated by the drones, and another week before she starts laying eggs. 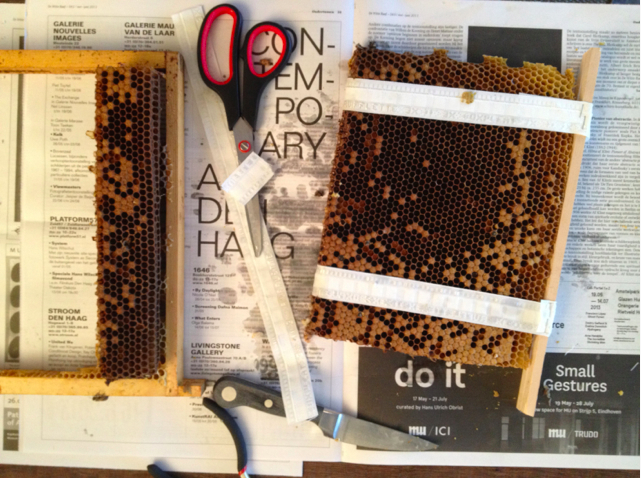 21 days later, the first new bees of the Warré hive will be born.